They invented lure coursing as a safer, more controlled sport for sighthounds that would recreate the physical requirements of open field coursing, allowing them to continue testing the functional abilities of their sighthounds. The hounds chase plastic bags on a course laid out to simulate escaping game. While Boxer are not sighthouds they do still have a strong pray drive. 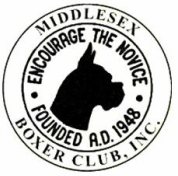 Many Boxers find this sport exciting and since it depends purely on instinct any dog in good condition is able to participate.